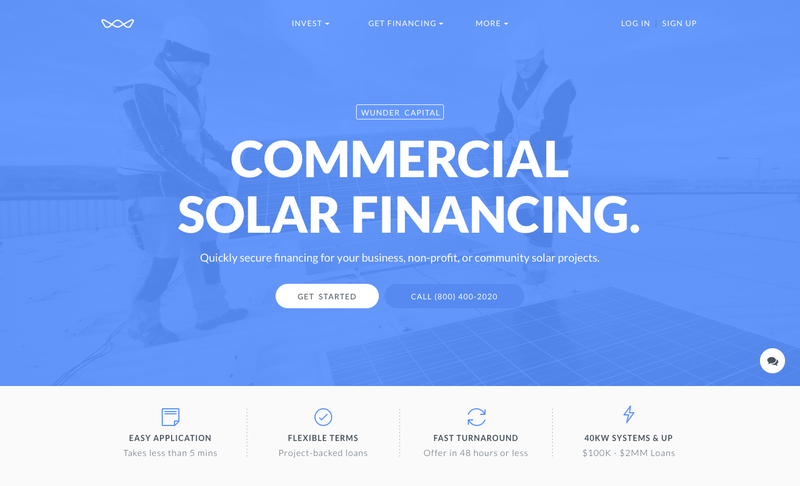 Wunder Capital, the nation’s leading marketplace lending platform for solar projects, announced today an expansion of financing options and project types, as well as a new online portal for solar professionals and their customers. The updates aim to increase the variety of projects Wunder can finance, while also improving the financing experience for existing C&I solar customers. 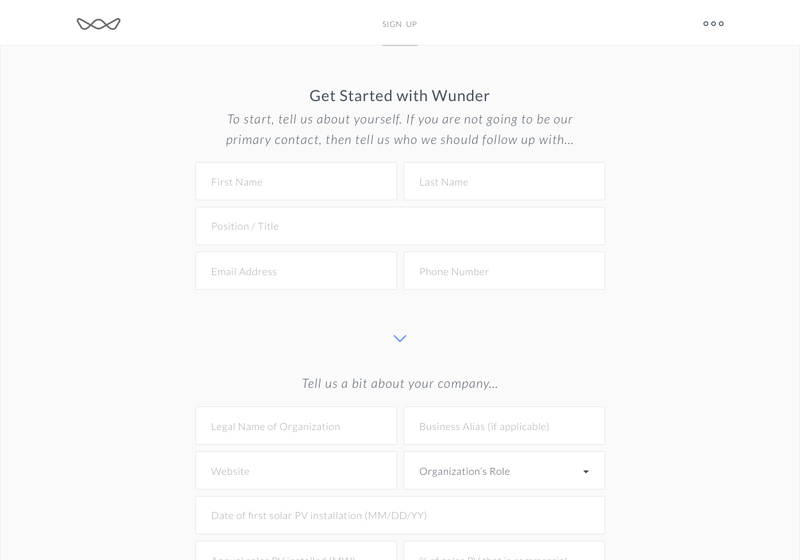 With the implementation of new proprietary technology, Wunder has recently expanded upon the types of projects that it finances. In the second quarter of 2017, Wunder expanded its lending focus to include community solar and feed-in tariff projects, and it began to target existing projects that were either unlevered or ready to be refinanced. Most recently, Wunder has developed a new 10-year loan offering to complement its ultra-flexible 7-year product. With a 10-year amortization schedule, borrowers in a wider range of geographies can now experience positive cash flows from their system, and project economics can become even more attractive if customers take advantage of an (optional) ITC prepayment in year one. 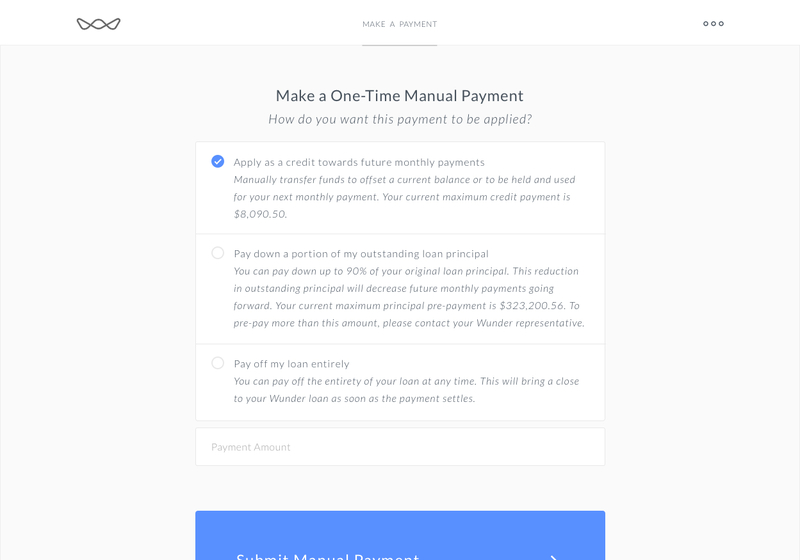 Wunder is currently accepting applications for this new 10-year loan product, and expects to begin disbursing capital by the end of the quarter. To increase transparency and efficiency in the solar financing process, which has historically lacked both, Wunder has rolled out an entirely new digital suite for solar professionals and solar customers. With Wunder’s new web portal, solar professionals can now complete a streamlined partnership application and unlock turn-key financing for their commercial-scale solar projects. 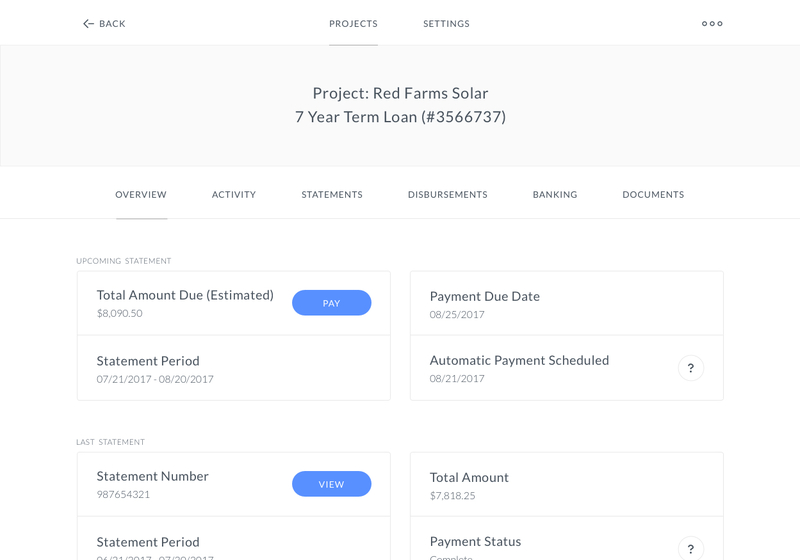 Once a project is complete, solar customers can access their project details, execute requisite contracts, view past payment data, and even make unscheduled payments. Wunder has complemented these new offerings by also overhauling its website, which now includes more detailed information about project eligibility, the financing process, and lending terms. These are just the first of many planned technical improvements that will go live over the next few months. Wunder will be expanding the capabilities of its partner and customer portals, which will include simple online project financing applications and instant loan offers.